Genoa Principe Station Parking offers a safer and a cheaper alternative to official station parking: our reliable parking solutions are catered to suit your needs. Your vehicle will be monitored by both the staff on site and CCTV cameras 24 hours a day, so you can travel without any worries. To book your Genoa Principe station parking online, simply enter the dates and times you require a parking space for, choose the car park that suits you best and fill in the booking form. ParkVia helps make your travel easier! 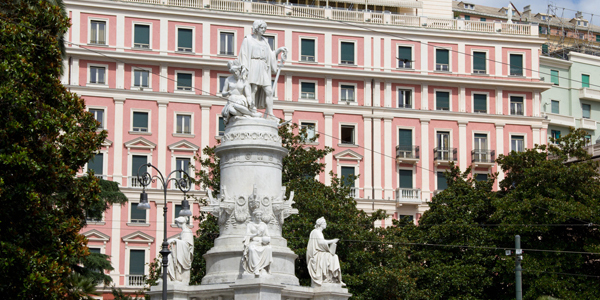 Genoa Principe station is the central station of Genoa and is located on Piazza Acquaverde, occupying the entire north side of Via Andrea Doria—where the station entrance is located—in the town centre. Genoa Principe station was constructed in 1860 and, since then, has undergone several phases of renovation. It is also currently undergoing a restructure.